electricians, car mechanics, physical trainers, etc. web developer, may be a serious competitor! kid! A local Dayton TV news program ran a video about it. a medical malpractice lawsuit against two physicians. even though both doctors would not admit liability. years ago. And no one filed these lawsuits in the past! 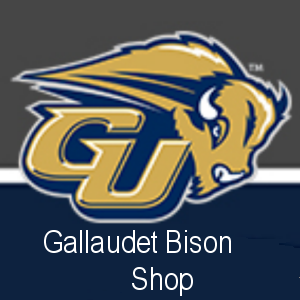 Gallaudet is offering a free house in Washington. be valued $200,000 on the real estate market. Really? order to receive assistance during emergencies. The good news is that technology is available. for the “years away” estimate. Depositor Education and Awareness Fund! A British deaf woman wears a badge that says DEAF. 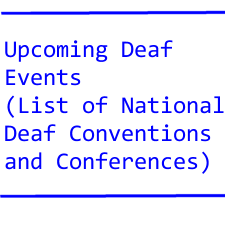 hearing person freezes, not knowing what to do. where people may know what to do. — a big risk for the deaf to drive cars! When a deaf person drives a car, it is a big risk. drivers. It has to do with the noises inside the car. grinding engine or a whining steering wheel, etc. say something about the noise. local TV programs. How did he become so quickly successful? and tips with his cameras. — deaf pharmacist says interpreters don’t help deaf patients! sign language deaf pharmacists than interpreting and notes. office saw things that were not right and became a whistle-blower. — blaming the whistle for losing all soccer games! players slow down, the whistle has been blown.